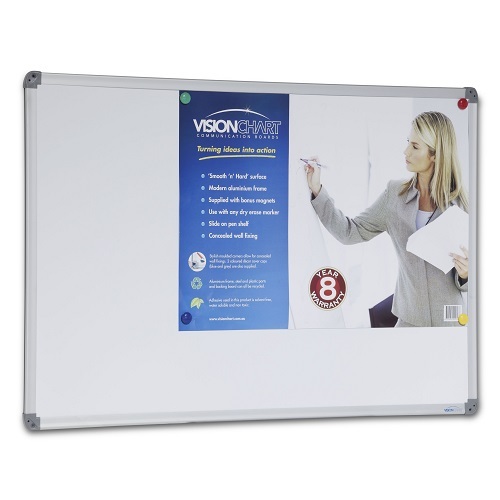 Great looking, versatile premium commercial magnetic drywipe whiteboards. For use with drywipe pens and markers. Excellent hardwearing magnetic surface for general use applications. Stylish, anodised aluminium frame with concealed corner mounting supplied slide in pen tray and fixings. Each board is supplied in shrink wrap for added protection complete with 4 free coloured magnets. 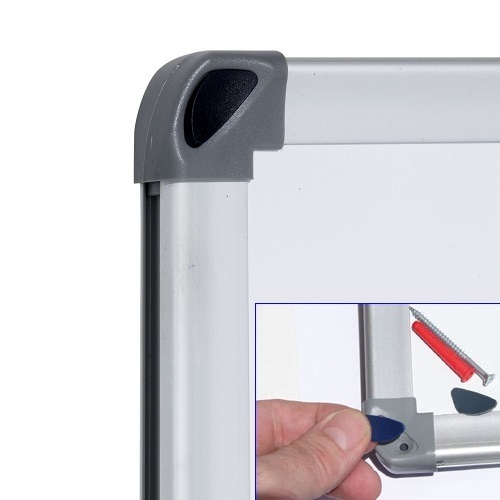 Ideal for all lighter to medium whiteboard writing users. Available from STOCK for fast direct delivery.